To many of us baby boomers, the Beatles were and are the greatest band of all time. 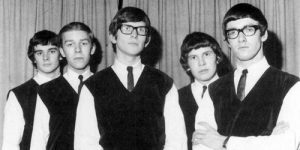 But many of us also had a “runner up” British Invasion favorite – bands like The Dave Clark Five, Gerry and the Pacemakers, Herman’s Hermits, or a host of others. Next to the Beatles, my favorite British Invasion band has always been The Zombies. Looking more like accounting students than musicians, they brought a smooth, jazzy sound that was completely unique. 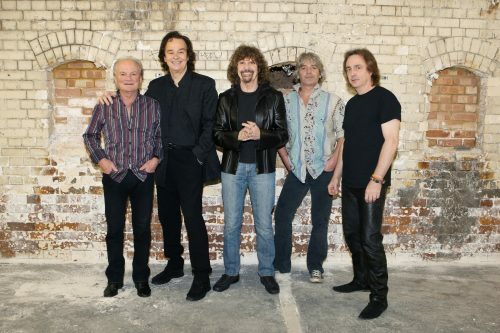 Prominently featuring Colin Blunstone’s breathy vocals and Rod Argent’s keyboard artistry, they brought us songs like “She’s Not There” (also covered by Santana), “Tell Her No,” and “Time of the Season” – and a boatload of great songs that never cracked the charts. Just as “Time of the Season” had conquered the pop charts in America, and the album from which it came, “Odessey and Oracle” was getting stellar reviews, (yes I know that “odessey” is a misspelling – but that’s what they called it), the band broke up. Blunstone recorded some solo albums, and Argent’s group, called “Argent,” had a hit with “Hold Your Head Up,” and did a couple of albums. Eventually, they found their way back together, and now, fifty plus years later, the band is still making fabulous music, and the personnel lineup is stronger than ever. 2011’s “Breathe Out, Breathe In” is fabulous, and their newest effort, “Still Got That Hunger,” is just as good. With Blunstone and Argent still fronting, the band also includes Jim Rodford (from the Kinks) on bass, his son, Steve Rodford on drums, and Tom Toomey, an extraordinary guitarist with an impressive resume. They sound as good, or better, than ever. Here is the title track from “Breathe Out, Breath In.” I’m obsessed with it. Colin speaks of his gratitude for getting to do what he loves at this stage in his life.